Akshaya Tritiya, also known as Akha Teej, (7th May, 2019 Tuesday) is a highly auspicious and sacred day for the Hindu and Jain communities. It falls on the 3rd Tithai (lunar day) of the bright half (Shukla Paksha) of the Indian month of Vaishakha. Akshaya Tritiya is considered one of the most sacred days by Hindus because the Sun and the Moon are at the height of their brightness on this day. It is considered especially auspicious if this day falls in conjunction with Rohini Nakshatra. It is believed that Lord Parashuram, the sixth incarnation of Vishnu was born on this day. It is also said that Ved Vyas and Lord Ganesha started writing the great epic Mahabharata on this day. For Jains, this day marks the end of the one-year fast by Tirthankara Rishabha. 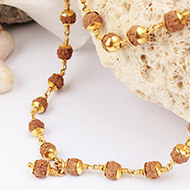 Akshaya means Endless or that which never diminishes. As per Vedic astrology, the three lunar days, Yugadi, Akshaya Tritiya and Vijay Dashami do not need any Muhurta for starting new ventures as these three days are free from all malefic effects. So there is no need to check the auspicious time to do any good deeds (kaarya) because each and every moment of these days are propitious. Thus Akshaya Tritiya is an auspicious day to start new ventures as any endeavor started on this day will grow and bring prosperity. The benefits of performing rituals such as Japa, Yagya, Pitra-Tarpan, Dan-Punya on this day stays perpetually with the worshipper. Akshaya Tritiya is considered the day when Treta Yuga commenced. The Treta Yuga is the second Yuga and is significant for the births of Lord Vishnu's incarnations in the form of Vamana, Parasurama and Lord Ram. Birthday of Lord Parasurama (sixth incarnation of Lord Vishnu). Ved Vyas and Lord Ganesha began writing the Mahabharata. This is believed to be the day when the Pandavas discovered weapons under the earth which made them victorious against the Kauravas. On this day Kubera received his riches and position as the custodian of wealth and riches along with Goddess Lakshmi, by praying to Lord Shiva at Shivapuram. 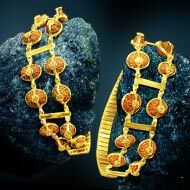 Buying gold and gold jewelry on Akshay Tritiya signifies ever increasing good fortune. 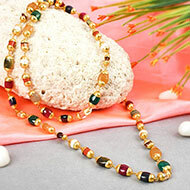 Akshaya Tritiya is considered one of the most auspicious festivals by Hindus since it is the day of manifold blessings. It marks the setting of Treta Yuga among the other three Yugas (Satya, Dwarpa and Kali). Any good work performed on this day will surely invoke manifold Divine results. Buying gold on Akshaya Tritiya is believed to invite endless fortune into one's life. 'Endless fortune' means auspicious presence of Lakshmi. When it comes to buying gold on Akshaya Tritiya, there are many reasons. 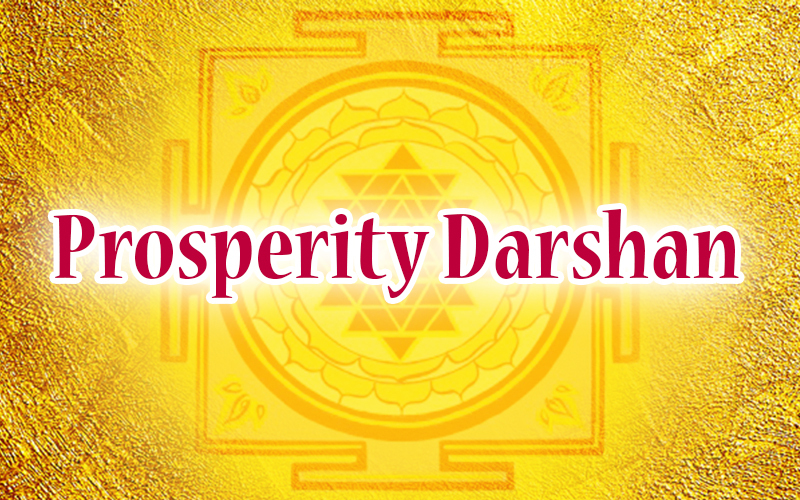 The commonest reason is that it is the most auspicious time to purchase wealth especially gold for akshaya means never-ending one who buys wealth on this day sees the increase in opulence. It is believed that on this day Kubera attained the post of the treasurer. Therefore, buying and worshiping gold pleases him. However an important reason to buy gold on this festival the month of Shravana (July-August). Period between these months is favorable for engagements and marriages. Families in the Hindu society buy gold and ornaments on Akshaya Tritiya two months before Shravana. It makes the most logical sense to buy gold and ornaments in advance. Even marriage ceremony performed on Akshaya Tritiya is considered very auspicious and brings stability and harmony. On this auspicious day, one may perform Akshay Tritiya Puja to invite prosperity and abundance. Akshay Tritiya puja rituals include the Madhusudhana ritual, with Tulasi archan and also the chanting of Sri Vishnu Sahasranaamam. Also, one may perform charities during this day which will bring manifold returns. Jala Daanam: One can offer jala or water to Brahmins with betel nuts and donate to them dakshina, offerings in one's capacity. Thamboolam: Giving Thamboolam or betel leaf invites prosperity into oneâ€™s life. 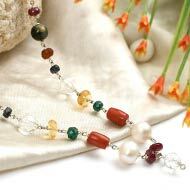 Thamboolam epitomizes spiritual strength and prosperity. It is believed that the betel leaf was produced during the churning of the ocean aimed at extracting amrita, nectar and the leaf is also the abode of all the demigods. Butter milk daanam: Offering butter milk as a charity blesses the donor with vidya prapti, attainment of knowledge. Udakumbha Daanam: Giving water contained in a bronze or silver vessel along with camphor, saffron, basil leaves (Tulasi) and betel nut assures one of having their desires fulfilled soon. Those who seek a suitable life partner, want to have a child and want to get rid of ancestral curses (Pitru Shraap) must perform this charity on Akshaya Tritiya. You may select the donation of your choice or may do all of them. With donations you will be able to work out bad karma that is impacting your life and will put you on the path to realize your true self and your relationship with the Creator. Holy Bath: Taking bath in the holy river rids one of all inauspiciousness and bad karma. One may take bath before sunrise in one of the Holy Rivers; Ganges, Yamuna, Godavari, Sindhu, Saraswati, Narmada, Krishna, Bhagirathi, Gandaki, Gomathi, Kaveri and Phalgu. 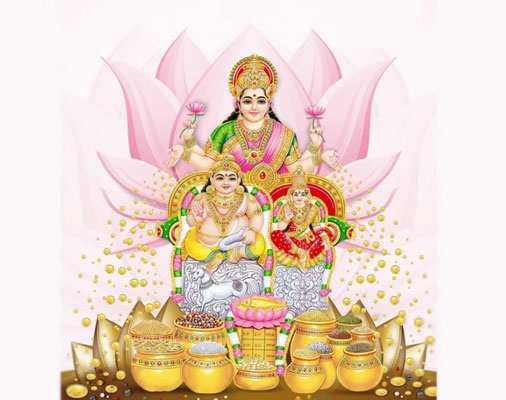 Puja of Goddess Mahalakshmi and Vishnu: Goddess Mahalakshmi is the goddess of wealth. Vishnu is the preserver and one of the Gods of the Trinity. By performing Pujas on this day, the worshipper is bestowed with love, good health, wealth and new opportunities. Puja of Cow: Cow is considered as holy animal in Hindu religion and millions of Hindus worship cows. Cow represents purity, love and ever giving and is the symbol of planet Venus. Puja of Horse: Horse (Ashwa) is considered to be disciple of Mars, which represents command and energy. Performing Ashwa Puja on the auspicious day of Akshaya Tritiya blesses the devotee's home with positivity and mental peace. Gaja (Elephant) Puja: If elephants are offered flowers and food while a priest chants the appropriate mantras, it invokes the blessings of Lord Ganesha, the remover of all obstacles. Worshipping Goddess mother Earth: By doing so, one is bestowed with the grace of goddess of food grains (Dhaanyalakshmi), the goddess of wealth (Dhanalakshmi) and goddess of prosperity (Vaibhavlakshmi). I am online shopper tried so many websites specially for indian stuff, you guys are the best.